Austin has a wealth of Fido-friendly restaurants and eateries where you can take your four-legged friends, from casual burger joints and cool coffee shops to beautiful waterfront restaurants and patio bars. Relax on the shores of Lake Austin at Abel’s on the Lake and soak up the gorgeous views with your pup at your side or let your doggie play in one of two dedicated dog parks at the dog-centric Austin Terrier. Shuck fresh oysters at Perla's Seafood & Oyster Bar, sip on some of the finest single malt Scotch whiskey at Opal Divine's Marina, or take a culinary journey to the Mediterranean at Phara's Mediterranean Cuisine and Christopher’s Casbah. Boasting spectacular views of Lake Austin, Abel’s on the Lake is a gorgeous spot for brunch, lunch, sundowners, or anything in between. The stylish waterside restaurant and bar serves a menu of classic all-American fare such as soups and salads, burgers and gourmet sandwiches, wraps, sliders, steaks, and fresh seafood along with a selection of over 60 beers on tap, including 17 local brews. Guests can dine indoors or out on the large deck overlooking the water, which is also dog-friendly and welcomes pooches. 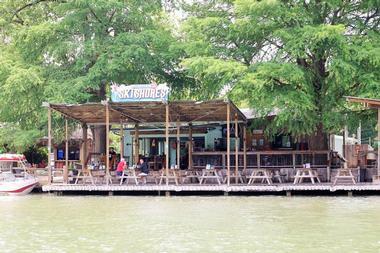 Abel’s on the Lake is open for lunch, dinner, and drinks 7 days a week. Boasting four locations around town, Austin Java is a casual coffee shop with a relaxed vibe that serves freshly brewed coffee, espresso, and other coffee-related drinks including espresso martinis. The family and dog-friendly café also serves delicious cuisine such as traditional breakfast fare of omelets, eggs Benedict, waffles, bacon and egg and more, lunches of soups, salads, burgers and fries, gourmet sandwiches, hot entrées, and pasta. 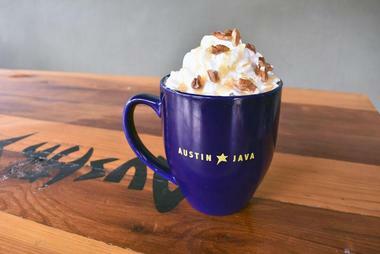 Austin Java also serves an array of craft cocktails and other drinks and has dog-friendly outdoor patios where guests can bring their four-legged friends. Austin Java is open for breakfast, lunch, and dinner 7 days a week and offers complimentary high-speed wireless Internet and weekly specials. Aptly named, the Austin Terrier is a family and dog-friendly neighborhood restaurant with a comfortable, relaxed vibe, a children’s play corner, and free treats and water for dogs. 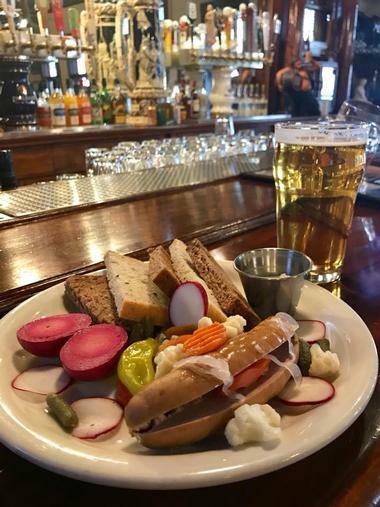 Boasting an excellent pub atmosphere, a menu of delicious bistro-style cuisine, and an excellent selection of rotating craft beers and wines, the Austin Terrier is ideal for a laidback lunch with friends or after-work dinner drinks with colleagues. 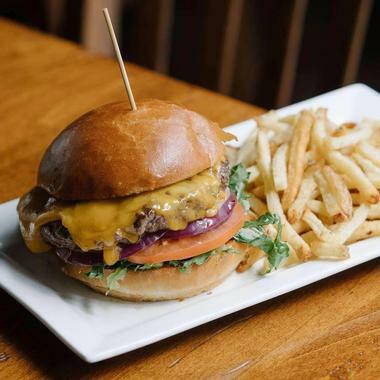 The menu features favorites such as burgers, sandwiches, salads, and pizza, and the pub hosts happy hours and other events throughout the week. The Austin Terrier is open for lunch and dinner during the week and brunch, lunch, and dinner on the weekends and offers a comprehensive catering menu for private parties. 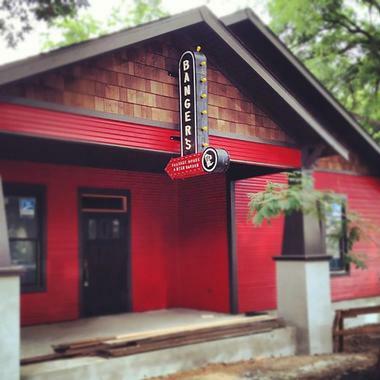 Banger's Sausage House & Beer Garden is all about good food and beer in a friendly, inviting setting. 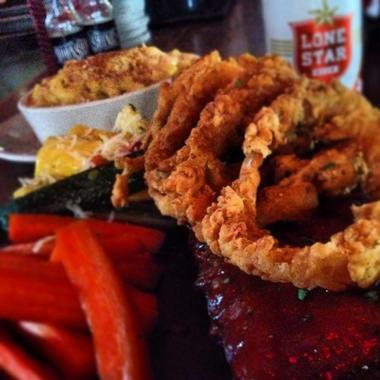 Offering a variety of authentic Texan cuisine, such as pig roasts, homemade sausage, beef jerky and pickled vegetables, accompanied by craft beers and brews, fine wines, and a range of Americana and country music, Banger's Sausage House & Beer Garden won’t disappoint when it comes to a great night out with friends. 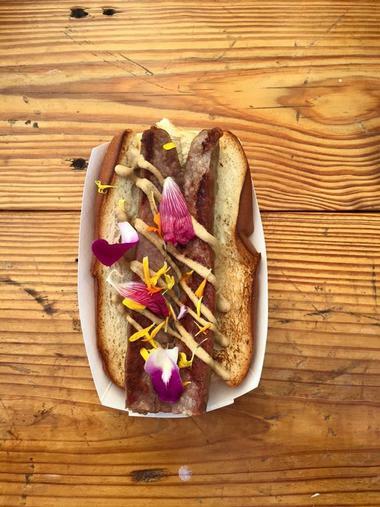 The restaurant offers over 30 varieties of homemade sausage, 104 beers on tap and 50 in bottles and cans, live music a couple of times a week on a stage in the beer garden, an off-leash dog park and specialty sausage for four-legged friends, a Big Band brunch every Sunday, and plenty of space for private events. Billy's On Burnet is a friendly neighborhood beer and burger joint that has stood the test of time to deliver an authentic spot for watching the game with friends over burgers and beers. 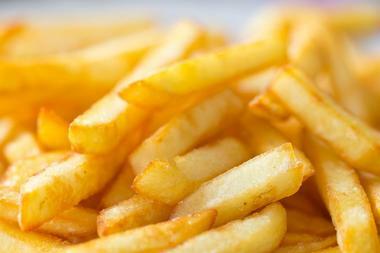 The menu features classic plates such as burgers and fries, gourmet sandwiches, bowls of chili, fresh salads, and sides such as fried mushrooms, okra, and onion rings. There is a wide selection of vegetarian choices too as well as a special kids’ menu with chicken strips, hot dogs, and grilled cheese. Over 36 draft beers accompany the delicious cuisine, as do a range of smooth-drinking wines by the glass and bottle, and a variety of specials are offered through the week, including Hop Head Mondays, Texas Tuesdays, Pint Day Wednesdays, and Real Ale Thursdays. 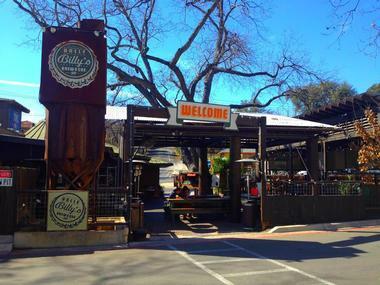 Billy's On Burnet is open for lunch and dinner, 7 days a week, and has outdoor patio seating, where dogs are most welcome. 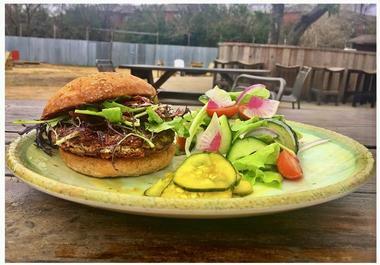 Bouldin Creek Café is a vibrant vegetarian restaurant on South 1st Street that provides delicious cuisine, an array of drinks, and an eclectic gallery of art that showcases works from local and regional artists. The friendly community café serves locally roasted, organic, and fair trade coffee daily, along with over 25 varieties of tea and other tipple such as craft beers, wine, handcrafted cocktails, and signature drinks such as The Leveler (Guinness, espresso, and chocolate). The menu features fresh salads and sandwiches, omelets and egg dishes, entrées of quinoa bowls, fajitas and curry, and an array of gluten-free and vegetarian sweet treats. 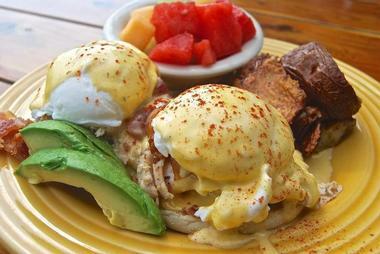 Bouldin Creek Café hosts happy hour specials daily and welcomes dogs on their outdoor patio. Conveniently situated in downtown Austin and within walking distance of several major hotels and the Austin Convention Center, the Cedar Door Patio Bar and Grill offers superb cuisine, signature drinks, and over 7,500 square feet of space for private events and parties. Home to Austin’s world-famous Mexican Martini, the award-winning restaurant offers cuisine for lunch, dinner, and late-night dinner on the weekends along with an extensive bar menu of handcrafted cocktails, artisan and craft beers, fine wines from around the world, and imported spirits. The establishment’s patio is one of the most significant outdoor spaces in downtown Austin and is perfect for outdoor dining (dogs are welcome) or private parties, with spectacular views over the city. 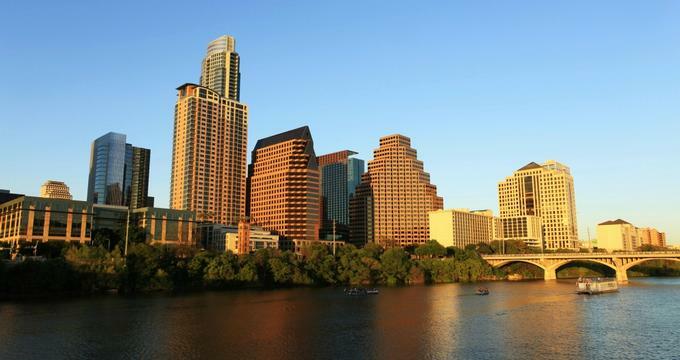 The Contigo experience offers award-winning cuisine in downtown Austin as well as beautiful ranch-style lodging and event space outside the city. Contigo Fareground is the culinary part of the experience and the Fareground Food Hall is where six local restaurants have come together to offer the city a new kind of dining experience in the heart of downtown Austin. Diners can tuck into a variety of traditional breakfast options, such as eggs Benedict, pancakes, and other delights along with a selection of fresh salads, rotisserie chicken, burgers, and crispy green beans along with an array of sides. Contigo Fareground is open for breakfast, lunch, and dinner 7 days a week and welcomes dogs. 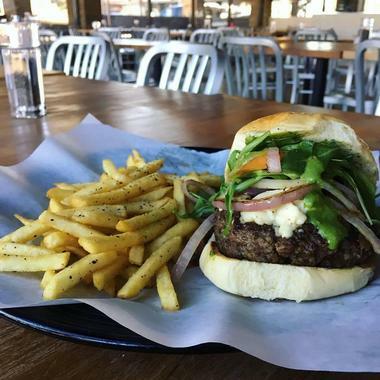 Culinary Dropout is a casual chain of gastropubs around Texas that serves hearty pub grub and a selection of craft beers and other drinks in a friendly, inviting atmosphere. The bistro offers a regular weekday menu, a brunch menu, Italian antipasti, and happy hour specials throughout the week, including soups, fresh salads, gourmet sandwiches, and entrées of pork ribs, butternut cannelloni, green chili stew, fried chicken, and roasted salmon. Professional mixologists create signature cocktails and serve an array of craft beers, wines from around the world, and other spirits. Live music is offered during happy hour and weekend brunch. Jo's Coffee is a casual, family-friendly coffee shop located on South Congress Avenue that has been serving the community with freshly brewed coffee and light meals since 1999. An inviting gathering place for the city, Jo's Coffee not only serves delicious cuisine and hot drinks, but also regularly hosts concerts, fundraisers, and other events throughout the month, such as Jo’s Annual Chili Cookoff. The menu features breakfast tacos, gourmet sandwiches, hot entrées, freshly baked pastries and treats, and healthy snacks and small plates. Jo's Coffee is open for breakfast, lunch, and dinner 7 days a week and has outdoor seating where dogs are welcome. The Moonshine Patio Bar & Grill is a contemporary restaurant and grill that serves comfort food and handcrafted cocktails in a casual, relaxed setting. Based in a historic home that was once part of the old Waterloo Compound, a collection of the some of the earliest commercial buildings in Austin, the Moonshine Patio Bar & Grill is steeped in history. The restaurant features a lovely patio with beautiful views, where dogs are welcome, and serves classic dishes such as fresh salads, soups, gourmet sandwiches, and sides along with platters of shrimp and grits, seared rainbow trout, blackened catfish, and chicken and waffles. 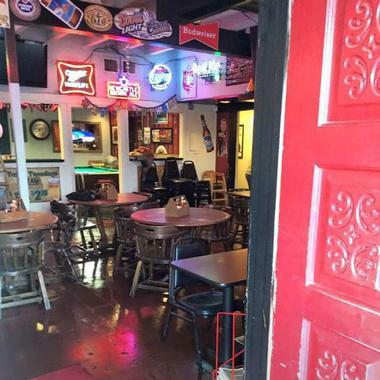 Located a short walk from the Hilton Austin Hotel and the Austin Convention Center, the Moonshine Patio Bar & Grill is within walking distance from some of the city’s top attractions and can be rented for special events and celebrations. Opal Divine's Marina restaurant and bar is a classic bar and eatery that serves traditional all-American pub-grub style and over three dozen craft beers on tap, several 100% agave tequilas, and more than 60 whiskeys including American bourbon, rye, and the most exceptional single malt Scotch whisky selection available in Central Texas. A collection of handmade specialty cocktails created with craft ingredients and local liquors and liqueurs is also possible, and the eatery’s menu features classic dishes such as 100% hormone-free Angus beef chargrill burgers, street tacos, cheesesteak subs, soups, fresh salads, and decadent desserts. An extensive gluten-free menu is also offered, and there is outdoor patio seating where guests can dine with their pooches. 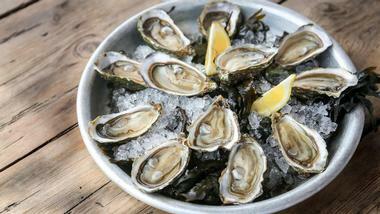 Perla's Seafood & Oyster Bar serves fresh seafood, oysters, and catch-of-the-day fish in a laidback and relaxed setting. 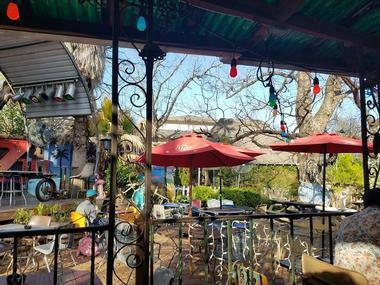 Located on South Congress Avenue, the restaurant has an open kitchen, a comfortable, airy, open-plan dining room with a huge saltwater fish tank, a stylish oyster bar, and a pretty oak-shaded patio that welcomes dogs. Perla’s is open for lunch and dinner daily and brunch Saturday and Sunday and offers happy hour specials throughout the week. Menus feature appetizers, fresh soups and salads, fresh seafood and prime beef steaks, signature dishes such as bouillabaisse, saffron rouille, seared rare spiced ahi tuna, and swordfish piccata, and an array of sides. The bar serves an extensive range of handmade coastal cocktails and a variety of sparkling, rosé, and white wines. Phara's Mediterranean Cuisine and Christopher’s Casbah is a vibrant restaurant with elaborate Egyptian-themed décor that serves Mediterranean cuisine and offers live entertainment such as belly-dancing. 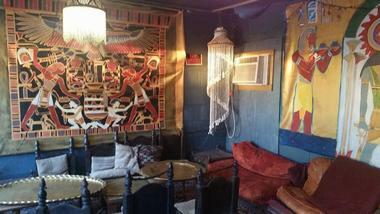 The restaurant boasts a hookah lounge where guests can relax and smoke hookah pipes and a pretty courtyard that offers outdoor dining and welcomes dogs. The cuisines are typically the Mediterranean with dishes such as hummus, baba ghanouj, dolma, and tzatziki, along with chicken and lamb shish kebabs, beef and lamb La Teez, shawarma plates, and Tenzin's Famous Aloo Channa. Desserts range from mango ice cream and baklava to sweet and sticky pistachio halawa, and guests can bring their alcohol for a corkage fee. Phil’s Ice House is a family-friendly burger joint with three locations around Austin that serves a variety of handmade burgers, gourmet sandwiches, hot dogs, corn dogs, grilled cheese, and an array of sides. The fare is accompanied by a selection of bottled beer, easy-drinking wines, milkshakes, floats, fountain drinks, and iced tea and has an outdoor seating section where diners can enjoy their burgers and fries with their four-legged friends. Phil’s Ice House has an individual children’s menu with smaller portions for smaller people, offers a catering menu for special events and functions, and sells a variety of business-related merchandise such as clothing, hats, hoodies, magnets, and mugs. 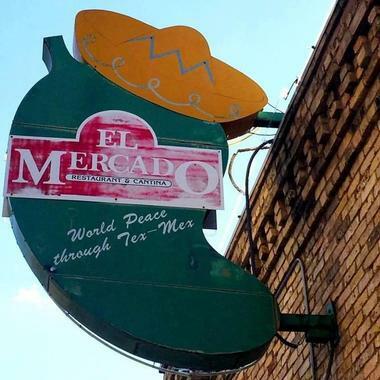 Located on Lamar Boulevard, Red's Porch serves a variety of Southern, Texan, and Tex-Mex fare, including burgers and fries, quesadillas, tacos, fried chicken, and sharing baskets, as well as brunch dishes like smoked seafood and eggs Benedict. Also known as Red's Porch Quarry, the restaurant also has a full-service bar on the second floor with beautiful city views that serves an extensive list of libations, including signature cocktails, handcrafted specialty drinks, local and international wines, and craft beers and brews. The restaurant has a lovely outdoor patio and courtyard that welcomes dogs and has a horseshoe pitch for laidback games over drinks. Located in downtown Austin, the Scholz Garten is a historic beer garden with a friendly, relaxed vibe that welcomes dogs with open arms. Established in 1866 by August Scholz, the Scholz Garten serves a menu of authentic Southern cuisine with international flavors, such as signature smoked chicken wings, burgers and fries, gourmet sandwiches, a variety of schnitzel and bratwurst, baked potatoes, and peach cobbler. The cuisine is accompanied a wide selection of local and foreign beers and brews, easy-drinking wines, handcrafted cocktails, and other libations and the famed spot features large-screen televisions for watching sports games and a pretty outdoor patio and garden where dogs are invited to join in the fun. 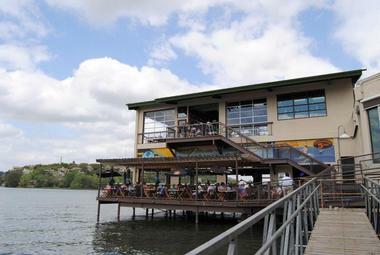 Located on the shores of Lake Austin with a scenic waterfront location, the Ski Shores Café is a casual, family-friendly café that serves delicious cuisine and local brews with a laidback Austin vibe. Loved by both locals and visitors, the café has been serving the community for more than 60 years with a menu of hearty fare, such as burgers and fries, chicken baskets and wings, breakfast tacos, and sandwiches, along with a variety of brews and beers, wines by the glass and bottles, signature cocktails, and imported spirits. The Ski Shores Café has a comfortable outdoor patio where guests can enjoy a meal and drink with their four-legged friends against a backdrop of beautiful lake views. The South Austin Trailer Park & Eatery is a contemporary roadside collection of food trucks offering such fare as tacos and desserts, with parking and picnic tables available. 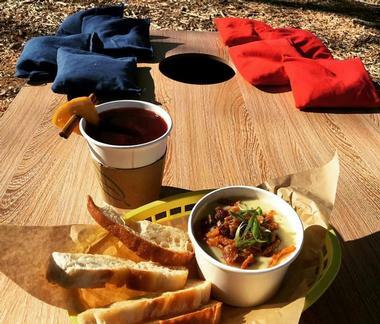 The unique “foodie” park boasts a variety of food trailers and has retro awnings strung with fairy lights and a new pavilion with a large flat-screen television, chairs, ping-pong and foosball tables, ceiling fans, and heaters. The center of the park features three food trailers, namely Holy Cacao, Conscious Cravings, and Torchy’s Tacos, serving an array of delicious cuisine ranging from green chile queso, stuffed tortillas, and award-winning taco chips and salsa to fresh chickpea wraps, cake shakes, and velvet cake balls. 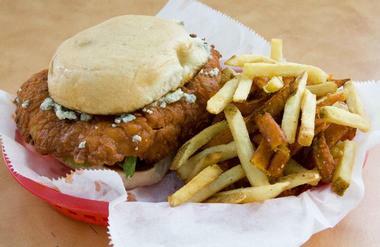 The South Austin Trailer Park & Eatery also offers a variety of gluten-free and vegetarian options. The Spider House Patio Bar & Café is a creative café with an artistic atmosphere that has been one of Austin’s legendary hotspots for the past 23 years. 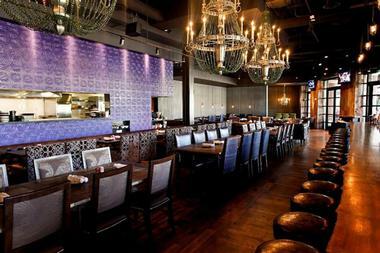 The café serves an artisan-inspired menu of delicious fare such as pitas, pizzas, tacos, and a variety of snacks as well as daily specials throughout the week, all accompanied by carafes of wine, mimosas, Bloody Marys, and specialty cocktails. The café boasts cozy nooks and crannies to hide away in, an array of unique antiques and art installation pieces, and an outdoor patio with quirky garden statutes and adorned with pretty fairy lights, where dogs can join their owners for a drink. The Spider House Patio Bar & Café features two outdoor stages, which showcase a variety of film screenings and outdoor events, and offers free parking and plenty of bike racks. 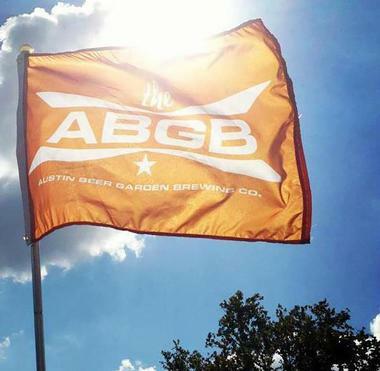 The ABGB is an industrial-style beer garden in South Austin that serves a variety of house microbrews and a creative menu of delicious pub grub such as pizza, gourmet sandwiches, burgers and fries, fresh salads, small plates, and sharing snack baskets. The brewery serves a variety of beers on tap, including Helles, pilsner, pale ale, IPA, Hoppy Red, and pre-Prohibition-style pilsner, along with ciders and easy-drinking white, red, and rosé wines. The warehouse-like beer garden welcomes dogs and boasts a casual, relaxed ambiance with live music every Saturday night. The ABGB is open for lunch and dinner, Tuesday through Sunday, and offers happy hour specials throughout the week. The Little Darlin’ is a friendly neighborhood watering hole in South Austin that is a fantastic place to enjoy post-work drinks with friends or a lazy Sunday brunch. The family and dog-friendly establishment has a spacious outdoor patio where guests can relax with their four-legged friends and enjoy yard games such as horseshoes and washers. The cozy café serves bar bite, such as spicy catfish bites and popcorn dressed with olive oil, parsley, and goat cheese, along with a selection of local craft beers on tap and by the bottle, fine wines, and signature cocktails. The kitchen also serves up a diverse vegetarian-friendly menu featuring small plates such as rotisserie chicken and étouffée, chicken croquettes, and street corn. Located in the heart of South Austin on Barton Springs Road, Uncle Billy's Brewery and Barbecue features a microbrewery on-site that produces and serves award-winning handcrafted beers by brewer Michael Waters. Uncle Billy’s serves a menu of traditional all-American cuisine, including slow-smoked barbecue, burgers and fries, gourmet sandwiches, fresh salads, and sides, and hosts live music on the tree-shaded dog-friendly outdoor patio. Uncle Billy's Brewery and Barbecue is open for lunch and dinner 7 days a week and offers happy hour and daily specials during the week. 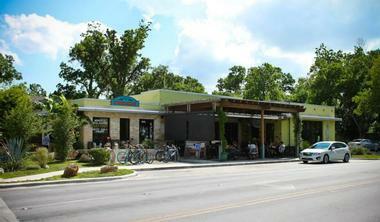 The casual, relaxed brewery and restaurant is a short walk to Barton Springs Pool and Zilker Park. 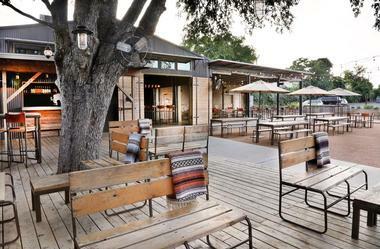 The Yard Bar is a unique combination of a restaurant, bar and dog park on Burnet Road that features an off-leash dog park where four-legged friends can play while diners enjoy classic pub grub and a variety of drinks in a relaxed outdoor atmosphere. 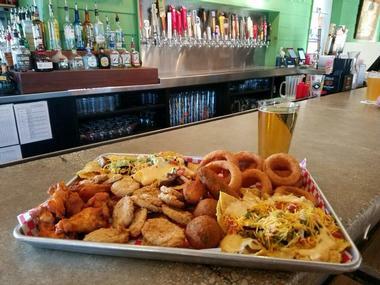 Located in the former Putt-Putt Golf and Games space, the boozy canine park boasts a comfortable pub-style eatery and bar that offers casual fare such as burgers and fries, sandwiches, fresh salads, hush puppies, and snack baskets along with artisan and craft beers, easy-drinking wines, and signature cocktails. The dog park features two areas for different sized dogs, including agility equipment and hydrants, dog toys, and dedicated doggy staff to look after the dogs, and there is complimentary wireless internet throughout the property. The Yard Bar is open for lunch and dinner during the week, and the outdoor patio is available for evening meals 7 days a week.